Paul Lovering is an independent artist and designer based in Edinburgh, Scotland. 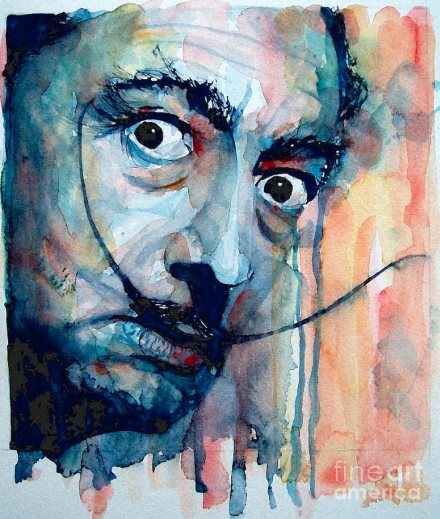 On the website FineArtAmerica.com, he displays his portraits of artists in watercolor : Spanish painter Salvador Dalí, French actress Sophie Marceau… But mostly rock stars and celebrities from the world of music : Joni Mitchell, Patti Smith, Bob Dylan, Jimi Hendrix, Leonard Cohen, Freddie Mercury, Jim Morrison, David Bowie, Mick Jagger… Ask for the portraits of artists to be printed (even with acrylic) on various standard formats, or other proposed items. You can then fall asleep on your ‘John Lennon’ pillow, or do your yoga on the ‘Rihanna’ mat… FineArtAmerica.com has manufacturing centers all over the world, so no endless waiting for delivery ! 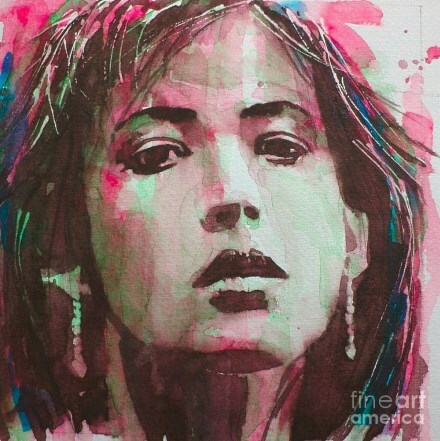 See also artworks by Paul Lovering made with mixed media. Watercolor, ink and oil paint blend with photography to create complex digital creations. The superimposition of different creative layers sometimes gives an illusory effect of bodypainting that recalls the work of Yasmina Alaoui.